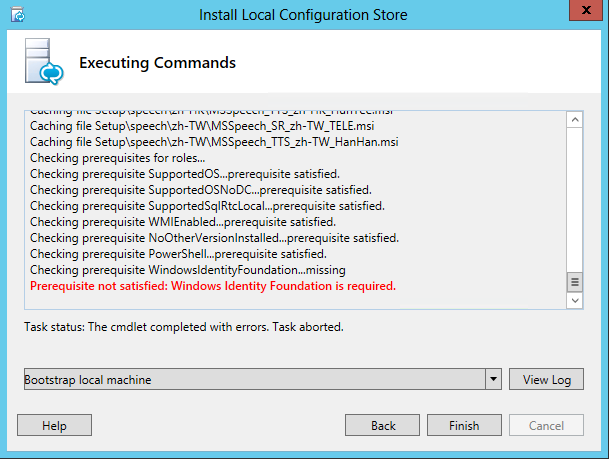 Lync Server 2013 – Prerequisite not satisfied: Windows Identity Foundation is required. While running the Lync Setup you may come across the following error from Step 1: Install Local Configuration Store in the Lync Server 2013 – Deployment Wizard. 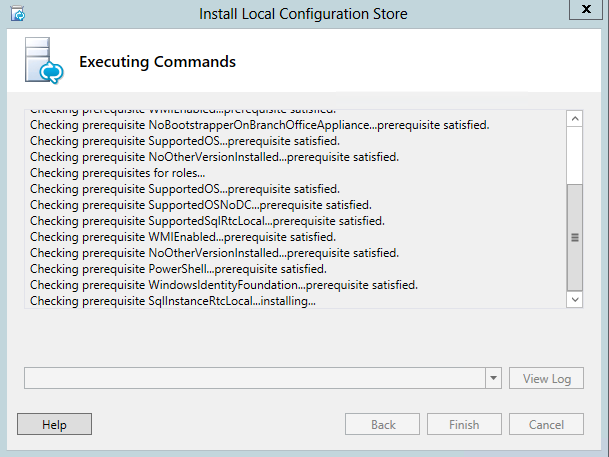 After that run the wizard to “Install Local Configuration Store” and it should succeed.